1)Sorensen K, et al. Consortium Health Literacy Project European. Health literacy and public health: a systematic review and integration of definitions and models. BMC Public Health. Jan 25;12:80, 2012. 2) Nutbeam, D. : Health literacy as a public health goal: a challenge for contemporary health education and communication strategies into the 21st century. Health Promotion International, 15(3), 259-267, 2000. 3)Zarcadoolas, C., Pleasant, A. F. & Greer, D. S. : Advancing Health Literacy: A Framework for Understanding and Action. San Francisco, CA: JOSSEY BASS, 2006. Sørensen K, et al. Consortium Health Literacy Project European. Health literacy and public health: a systematic review and integration of definitions and models. BMC Public Health. Jan 25;12:80, 2012. Sørensen K, et al. Measuring health literacy in populations: illuminating the design and development process of the European Health Literacy Survey Questionnaire (HLS-EU-Q). BMC Public Health 2013 13:948. Davis TC, Crouch M, Wills G, Abdehou D. Rapid assessment of literacy levels of adult primary care patients. Fam Med 1991;23: 433e55. Davis TC, Long SW, Jackson RH, Mayeaux EJ, George RB, Murphy PW, et al. Rapid estimate of adult literacy in medicine: a shortened screening instrument. Fam Med 1993;25:391e5. Bass PF 3rd, Wilson JF, Griffith CH. A shortened instrument for literacy screening. J Gen Intern Med. 2003 Dec;18(12):1036-8. Arozullah AM, Yarnold PR, Bennett CL, et al. Development and validation of a short-form, rapid estimate of adult literacy in medicine. Med Care 2007 November;45(11):1026-33. Parker RM, Baker DW, Williams MV, Nurss JR. The test of functional health literacy in adults: a new instrument for measuring patients' literacy skills. J Gen Intern Med 1995;10:537e41. Baker DW, Williams MV, Parker RM, Gazmararian JA, Nurss J. Development of a brief test to measure functional health literacy. Patient Educ Couns 1999;38:33e42. Weiss BD, Mays MZ, Martz W, Casto KM, DeWalt DA, Pignone MP, et al. Quick assessment of literacy in primary care: the Newest Vital Sign. Ann Fam Med 2005;3:514e22. Morris NS, MacLean CD, Chew LD, Littenberg B: The Single Item Literacy Screener: evaluation of a brief instrument to identify limited reading ability. BMC Fam Pract 2006;7:21. Chew LD, Bradley KA, Boyko EJ: Brief questions to identify patients with inadequate health literacy. Fam Med 2004, 36(8):588-594. Osborne, R. H., Batterham, R. W., Elsworth, G. R., Hawkins, M., & Buchbinder, R. (2013). The grounded psychometric development and initial validation of the Health Literacy Questionnaire (HLQ). BMC Public Health, 13, 658. Nath CR, Sylvester ST, Yasek V, Gunel E. Development and validation of a literacy assessment tool for persons with diabetes. Diabetes Educ. 2001;27(6):857-64. Agre, P, Steiglitz, E, Milstein, G (2006). The case for development of a new test of health literacy. Oncology Nursing Forum, 33(2): 283-89. Nakayama K., Osaka W., Togari T., Ishikawa H., Yonekura Y., Sekido A., Matsumoto M. Comprehensive health literacy in Japan is lower than in Europe: a validated Japanese-language assessment of health literacy. BMC Public Health. 2015; 15(1): 505. Ishikawa H, Takeuchi T, Yano E: Measuring functional, communicative, and critical health literacy among diabetic patients. Diabetes Care 2008, 31(5):874-879. 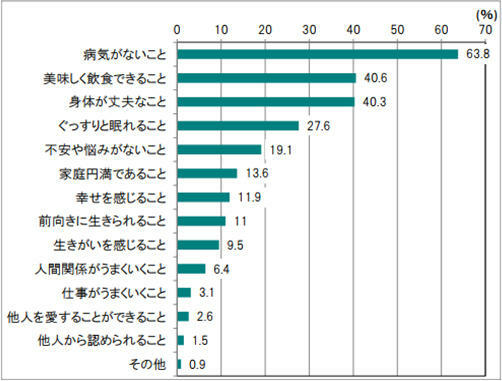 Suka M., Odajima T., Kasai M., Igarashi A., Ishikawa H., Kusama M., Nakayama T., Sumitani M., Sugimori H. The 14-item health literacy scale for Japanese adults (HLS-14). Environmental Health and Preventive Medicine. 2013; 18(5): 407-415. Ishikawa H., Nomura K., Sato M., Yano E. Developing a measure of communicative and critical health literacy; a pilot study of Japanese office workers. Health Promotion International 2008; 23(3): 269-274. 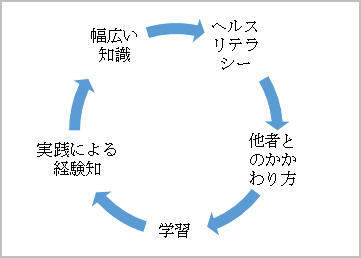 Mitsutake S, Shibata A, Ishii K, Okazaki K, Oka K: Developing Japanese version of the eHealth Literacy Scale (eHEALS). Nihon Koshu Eisei Zasshi 2011, 58(5):361-371. Kogure T, Sumitani M, Suka M, Ishikawa H, Odajima T, Igarashi A, Kusama M, Okamoto M, Sugimori H, Kawahara K. Validity and reliability of the Japanese version of the Newest Vital Sign: a preliminary study. PLoS One. 2014 Apr 24;9(4):e94582. Tokuda Y, Okubo T, Yanai H, Doba N, Paasche-Orlow MK. (2010), Development and validation of a 15-item Japanese Health Knowledge Test. J Epidemiol., 20(4):319-28. Chapman, G. B., & Elstein, A. S. (2003). Cognitive Processes in Decision Making. Chapman, G. B., & Sonnenberg, F. A. Decision making in health care: Theory, psychology, and applications. Cambridge University Press. Klayman, J. (1995). Varieties of confirmation bias. In J. Busemeyer, R. Hastie, and D.L. Medin (Eds. ), Decision Making from a Cognitive Perspective. The Psychology of Learning and Motivation, Vol. 32, pp. 385-418. New York: Academic Press. 広田すみれ, 増田真也, 坂上貴之. (2006). 心理学が描くリスクの世界: 行動的意思決定入門− 改訂版. 慶應義塾大学出版会. Tversky, A., & Kahneman, D. (1982). The Framing of Decisions and the Psychology of Choice. Science, 211(4481), 453-458. Ritov, I. & Baron, J. (1990). Reluctance to vaccinate: Omission bias and ambiguity. Journal of Behavioral Decision Making, 3(4), 263-277. Tversky, A. & Kahneman, D. (1986). Rational choice and the Framing decisions. Journal of Business, 59, s251-278. Tredwell, J. R. (1998). Tests of preferential independence in the QALY model. Medical Decision Making, 18, 418-428. Redelmeier, D. A. & Kahneman, D. (1996). Patients' memories of painful medical treatments: Real-time and retrospective evaluations of two minimally invasive procedures. Pain, 66, 3-8. 2）Engel G. The clinical appplication of the biopsychosocial model. Am J Psychiatry. 1980;137:535-544. 5) Huber M,et al. How should we define health? BMJ. 2011 Jul 26;343:d4163. 6) 慢性疾患セルフマネジメント協会　https://www.j-cdsm.org/ 7）Schroeder SA. Shattuck Lecture. We can do better--improving the health of the American people. N Engl J Med. 2007 Sep 20;357(12):1221-8. 8) 山崎良比古監修、戸ヶ里泰典編：健康生成力SOCと人生・社会: 全国代表サンプル調査と分析．有信堂光文社,　2017. 9) Eriksson M. The Sense of Coherence in the Salutogenic Model of Health. In Mittelmark MB et al. (eds.) The Handbook of Salutogenesis, Springer, 91-96, 2016.